Voters should re-elect U.S. Rep. Suzan DelBene, running for her fourth term representing the 1st Congressional District. Suzan DelBene is exactly the kind of Democrat her party needs more of to connect with Americans who are neither fully participating in the robust economy nor engaged with the far-left rhetoric found in some urban areas. The Medina Democrat is about jobs. She advocates strongly for policies that grow and protect jobs, invest in workforce training and, recently, trade-adjustment assistance for workers suffering from repercussions of President Donald Trump’s ill-considered tariff war. 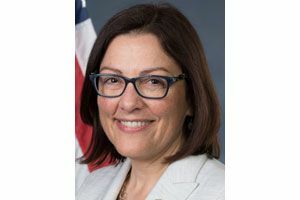 Despite pressure from her party’s far left, DelBene continues a robust yet nuanced approach to trade that has the United States in a leadership role in international markets, while requiring improved standards for partners. She supported the Trans Pacific Partnership, which Trump killed. She has cautioned him against doing damage to NAFTA and the South Korean trade agreement. Strengths: U.S. Rep. Suzan DelBene is hyper-focused on jobs and the concerns of her 1st District, which range from high-tech to farm policies. The 1st District, which includes most of Whatcom, Skagit and Snohomish counties and the northeast third of King, is diverse in income and industry, from the tech-focused density of Redmond to the dairy pastures of the Snohomish Valley to the wilderness of the North Cascades. DelBene is as comfortable arguing the finer points of the farm program as she is the wonkiest of technology issues like the former Microsoft executive she is. She is a member of the key committees of Ways and Means and Budget. Her profile also has risen as a vice chair in the New Democrats Coalition, which has a tight focus on advancing middle-class prosperity. DelBene has drawn four challengers, two Republicans and two with no party preference. The most promising among them is Republican Jeffrey Beeler, a Sultan city council member and a small-business owner. He has an admirable community-service ethic but has much to learn about many federal issues. DelBene is the best choice. First District voters should keep her as their representative.